Marc Freedman, has a message for retirees. He thinks that boomers can continue to have a real social impact after they have left their careers to retire. In the article that appears in the Harvard Business Review, A New Vision for Retirement: Productive and Meaningful, the founder and CEO of Encore lays out the foundation for his ideas. You’ve most likely encountered Prudential's Day One stories campaign, telling us we need to prepare for a seemingly endless retirement. On billboards and bus posters, in radio and television ads, Prudential says we’ll be retired for 6,000 days – or many more – after working for 12,000. The financial services company’s campaign amounts to scenario planning through the rear view mirror – bolting the new longevity (longer, healthier lives) to the old retirement lifestyle. This retrograde vision is neither sustainable, nor attainable – and it isn't desirable. I hated those ads the first time I saw them. Prudential has provided the image and the music for a stage in life that no one dreams of or wants. The day you leave the work place is portrayed as (dare I say it) depressing! Freedman, on the other hand is seeing this part of life as fulfilling, useful and, above all, important. He thinks that we need to view retirement as a start of something bigger and better. He says that he thinks the retirement population "represents a human capital bonanza for the social impact sector and for the nation more broadly." He goes on to say, "It's time to fulfill the true promise of longer lives — which is a better society." 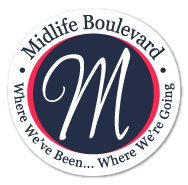 I have been retired for almost 16 years and I am here to tell you that my life was not set in stone on day one. Why? Well first of all there was the transition to retirement that comes with the stages that happen financially (Prudential's focus). Social Security, Medicare, IRA programs do not all kick in at the same time. All of these programs plus a retirees changing needs give the retiree a financial lift over a period of years. There are many "day one" financial events. Then there is the changes that aging brings to our lives. We become wiser, we want different things, our goals change and evolve over time. There really is no such thing as a one day one for the rest of our lives. In fact, if I were to give you a list of our new beginnings in the years since we left the work force, you would be amazed. My experience has taught me that growth in knowledge and experience is very real and important and will be for all of my life. In fact, on day one I was like a babe in the woods. But Freedman's article left me thinking about what I had expected when I retired. I cannot tell you the joy that I experienced knowing that we would no longer be tied to a place, our qualifications in the work force or even how much money we had. We were free to make choices based on what gave us satisfaction. Then the realization hit that our choices were open and we honestly had no idea what those choices were. What were we going to do for the next umpteen years? The only thing I truly knew was that I did not want to do what I had been doing for the last thirty years. The idea of a new "career" in the traditional sense of the word made me feel a little sick to my stomach. A lifetime of commitments and worry had me feeling fed up with the whole idea. Even now I get that feeling when I remember those years. When I read Freedman's article this morning I could only wonder why anyone would want to go back to work in the traditional sense of the word...I know I never have. But I also know that being productive, no matter my age, is very important. I want to contribute to society just as I did when I was a teacher but I want to do it my way...thank you very much. After a second look, I realized that Freedman was actually talking about what I had done. Unfortunately, he was not around to help during those beginning years. In spite of my thoughts that a second career was the last thing I wanted, I did begin one without the realization of what had happened. I think that is what happens when we follow a passion and not the money (although I do not object to earning money doing what I do). 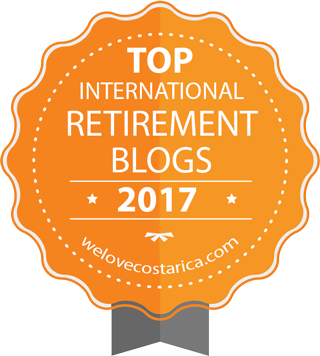 When I began writing about retirement on this blog, I made a commitment that has lasted for many years. Why? Because I love this job and it is of my own making. It has all come together for me...my encore career has given me the satisfaction I needed. Hopefully, somewhere along the road I have helped others understand retirement thereby making a social contribution. Even if I haven't, I have tried. I encourage you to read the article and take a look inside the handbook on the Amazon website. 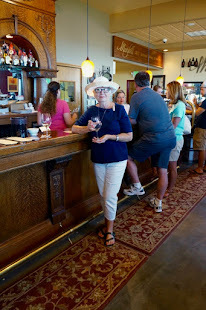 Retirement is fun...especially when you can see all the possibilities. This is one of the pieces in the retirement puzzle that can be extremely helpful. 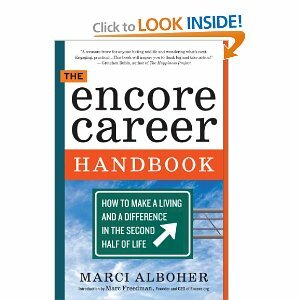 Encore is helping people find passion, purpose and a paycheck in the second half of life. (See more at:http://www.encore.org/#sthash.GDbVYJ7W.dpuf). After I retired I took the training to become a certified mediator, which I now am. So many ways to use my mediation skills, I'm having a little trouble trying to decide whether to be a diverse generalist or whether to specialize. So far it's all volunteer, but you never know. I ordered the Encore book and also What Color is Your Parachute for Retirement. I'm nearly three years in and I'd like to clarify a direction, if there is one. The beauty of the whole life experience is the chance to learn to do something totally different...over and over.